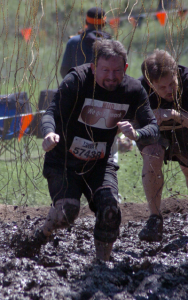 Mark running the 2013 Austin Tough Mudder. Yes, those are live electrical wires. Mark is General Counsel and Secretary of the Board of Directors for Harris County Emergency Corps (a nonprofit 911 EMS agency), General Counsel and Director for the Board of Directors for the Outdoor Association for Texas Heroes, Inc. (OATH) (a nonprofit focused on helping disabled veterans through outdoor recreational activities), General Counsel and Secretary for the Pearland Foundation for the Performing and Visual Arts (a non-profit granting scholarships for students in the fine or performing arts), and General Counsel and Secretary for Aggies Helping Others (a charitable non-profit of former Texas A&M MBA graduates). He is also co-owner of OlsonSmith Solutions, LLC, an emerging IT staffing and consulting firm. 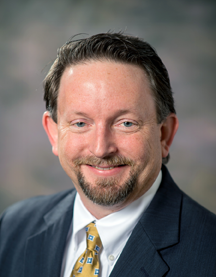 A graduate of Texas A&M University’s Mays Business school with an MBA, Mark serves as a class agent and keeps in frequent contact with his classmates. Mark is also a sports and fitness enthusiast, having participated in several races including the Tough Mudder, the Spartan Race, and others.